The hotel facilities and services include a free computer station with internet access, a library with daily newspapers, books and DVDs, free indoor parking, and magnificent lounge in which a rich buffet breakfast is served. Guests can enjoy lunch and dinner in the restaurants and eateries at Assaf-Center new mall. 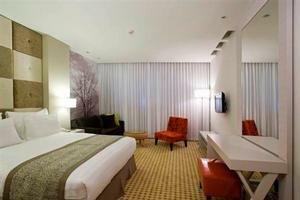 The Sadot Hotel, Israel, is the closest hotel in Israel to Ben-Gurion Airport. Located on the third floor of the brand new shopping mall "Assaf-Center” by the Tsrifin Junction. The Sadot Hotel is a short walk from Assaf-Harofeh medical center and ideal for everyone who wants to be in a central location doing business or visiting family in Airport City, Ramle, Lod, Rehovot and Rishon-Lezion, as well as Tel-Aviv and Jerusalem. "Very convenient location. 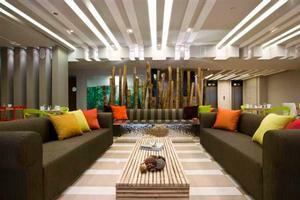 The lobby area and complimentary happy hour made it an excellent plac..."